When Xi3 and Valve revealed the Piston at CES this week both companies were very careful not to refer to the tiny gaming PC as Steam Box, even though its function is exactly in line with every rumor that we ever heard about Valve’s hardware. It turns out the reason why both companies refrained from using the name is because even though Piston is “a” Steam Box, it’s not “the” Steam Box. 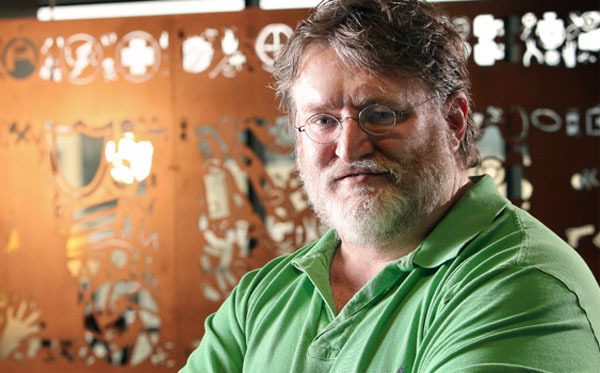 Speaking to The Verge, Valve CEO Gabe Newell confirmed that the company is working on its own Steam Box console but at the same time is working with partners to develop other living room PC solutions, like the Piston. He then went on to reveal/hint at several details about their own hardware in the interview, and confirmed many of the rumors that we have heard about the Steam Box. While Newell was careful not to spell out anything specific about the Steam Box, he did suggest that it will include some “low-cost streaming solutions” like “Miracast or Grid” and hinted that it will likely not have an optical media drive. On the controller side of Steam Box, Valve has ruled out anything to do with motion controllers. Newell stated that they have struggled to “come up with ideas” for motion controls, and view Wii Sports as “the pinnacle” of what that input has to offer. Instead the company is focusing on controllers that are “more precise and … less laggy”. Gabe also mentioned that the company is extremely interested in using biometric data – which the company had previously confirmed they are working on — and “gaze tracking” to add “more communication bandwidth between the game and the person playing it”. As for when we will see the Steam Box, Valve hardware engineer Ben Krasnow told Engadget that recent reports stating he said the company would debut the console this year were not correct. Krasnow restated that the company is working on “getting Steam into the living room”, however, they “have no current plans to announce anything in 2013”. We will keep an eye out for any additional information on the Steam Box and let you know as soon as anything turns up.